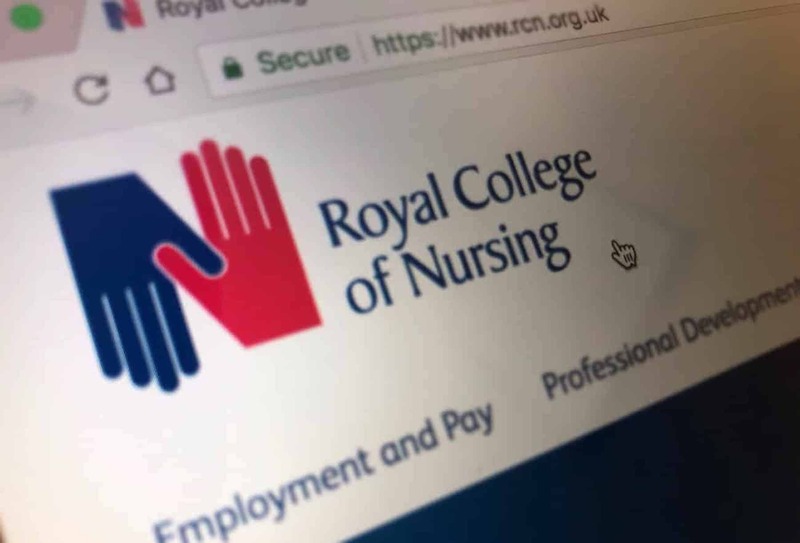 It’s been a chaotic month in the Royal College of Nursing (RCN) due to the continuing outrage over the NHS pay deal and the miscommunication and lack of transparency surrounding this question. First nurses and other healthcare professionals found out that a 29% pay rise was not on the horizon, nor a 25% pay rise. Next, they discovered that their three-year offer would be outstripped by inflation. Finally, they were hit by another blow: that the 3% increase promised across the board wouldn’t be coming in the July pay cheque, but would actually be two 1.5% increases in instalments. This understandably has led to many questions amongst RCN members. Why was this information kept hushed until the last moments? Why has it been taken laying down by the ‘leadership’? What else wasn’t scrutinised? Why were the concerns of members cast as deluded and masculine? Why were the negotiations behind closed doors? Why was the pay deal sold as revolutionary when the Council, communications, and RCN staff were all claiming that they were just as confused as the membership after these scandals were revealed? Our representatives and leaders claim they weren’t aware of such important details. But many reps stated that they received this information in their briefings on 20th July, before the 1.5% calamity was known to the wider membership. Something is clearly rotten at RCN HQ. Questions have rightly been raised. The few assurances that were offered have quickly dissipated. Rank-and-file nurses with their fingers on the pulse began a petition for an Emergency General Meeting (EGM) to be called. This included a vote of no confidence in the current Council. Circulating online, this obtained 1,650 signatures in under a week, showing the desire for answers. Debate and discussion quickly lit up across social media and in wards. Many nurses felt betrayed. Activists have stood firm in the face of numerous attempts by the leadership to get members to retract the vote of no confidence. It is therefore going ahead on the 28th September. An independent review has been undertaken by the Electoral Reform Services (ERS) in light of this situation to find out ‘what went wrong’ in terms of communication. There has been an attempt to make the EGM solely about this ERS review. But again, activists have stood firm and made sure that their resolution will be heard. We welcome the ERS review and its findings. However, it is limited in its scope: poor communication is just one factor of many that has led us to the current situation we find ourselves in. The first phase of the review has given us two very key insights into the mishandling of the NHS pay deal. A damning example of this was during the campaign to call for an emergency joint meeting of Inner and Outer South East London RCN branches. This meeting was hijacked by bureaucrats, who proceeded to knock agenda items off the table and tell everyone in the room how wonderful the deal will be. They responded to people’s genuine concerns with sound bites that we now know to be inaccurate. They threatened that if this deal was rejected, we would return to pre-deal arrangements, with the cap placed back on public sector pay. Yet, as if they were operating on a different plane of existence, they are still touting the Tories’ snake oil offer as “the best available deal”. The Welsh pay calculator website, for example, still shows the wrong information – which their own review has repudiated. Moreover, the original pay calculator from the Scrap the Cap campaign (which has since been taken down) – showing Band 5 nurses what their starting salary should actually be if it kept up with inflation – provides a figure in the realm of a £29,000 per year starting salary! It is confusing as to how a deal that is allegedly so wonderful can have an apology and resignation attached to it, with the chief negotiator stating that “[the pay deal] is not the best they [members] hoped for, but they understand it is probably the best they will get”. What’s even more curious is the fact that Scotland has received a better deal than England with hardly any fight (no industrial action was taken). Whilst it still isn’t enough, this disparity shows the ineptitude of RCN representatives in England. This is further demonstrated by the case of the RCN in Jersey. Jersey nurses were offered a deal that could see pay rises allegedly between 1.25% and 18.1%, with an average of 6.6%. This is about the same as the alleged 6.5% average for mainland nurses, which leaves a lot of healthcare workers worse off. Members in Jersey, however, have been recommended to reject this deal, with RCN Jersey even calling on nurses to “get ready for action”! So who are the council listening to? Who are the drivers for change in RCN England? Clearly it’s not the rank and file, otherwise, the Council and Trade Union Committee would be taking the same line as our colleagues in Jersey. We’ve heard the same excuses repeated over the last month. “A militant few”; “Momentum infiltrators”; “self-serving”. These are the tired tropes that are carted out by the leadership in desperation. Coupled with this mudslinging, Council members are attempting to copy from the Blairites’ book of tactics. They claim that those who are angered by the derisory pay deal and by the leadership’s failures are somehow simultaneously, in their words, both “a small handful”, but also a “lynch mob”. They complain about a manufactured injustice against them as individuals, instead of focusing on the fact that they – alongside other trade unions – sold the membership short collectively. It is their own self-serving and undemocratic interests that are being placed above the future of nursing and the future of the NHS. Of course, there are long-standing problems with the RCN. And it is not only the Council that is at fault. Throughout its 100 year history, the RCN has been characterised by its meekness and conservatism, often acting to protect the status quo. The RCN has often snubbed and berated more radical nurses, such as Thora Silverthorne and Patricia Veal. For decades, nurses have had the Nursing and Midwifery Council’s code of conduct hanging above their heads like a sword of Damocles, designed to create a paranoia amongst us that the moment we go off script or deviate from their idea of ‘professional conduct’ we will be reported and struck off. This attitude is perpetuated by the Department of Health and employers, and has even been spouted by RCN trade unionists to silence dissent. Nevertheless, this condescending approach is wearing thin. Rank-and-file nurses have had enough of so many stalls, threats, and insults. We want a better quality of life, with safe working conditions for ourselves and our patients. We don’t want to feel as if paying our union subs is tantamount to a donation to the Tory Party. 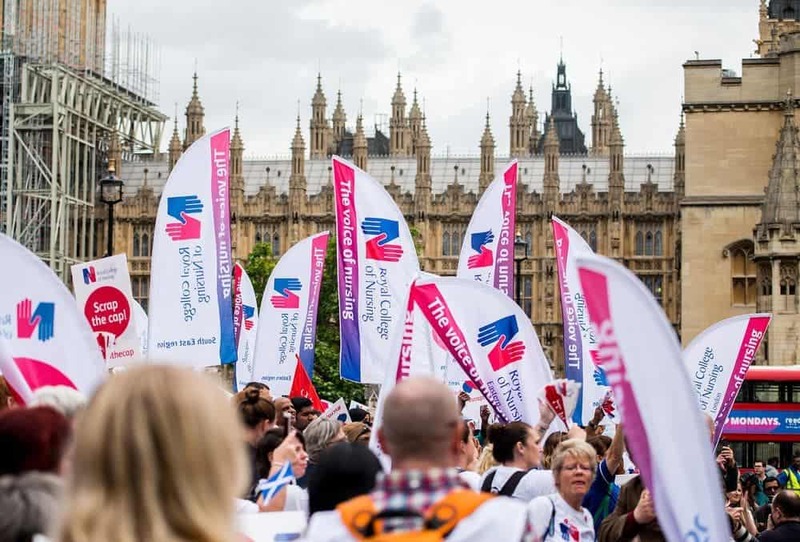 It’s a crime that a union with a membership of 450,000 is unable to life even one finger in protest against this wretched and feeble Tory government – a government that is committed to abolishing free healthcare, and which treats NHS staff and patients with contempt. Unison are flat out denying any faults with the pay deal, and the RCN are stating that they will press on with “implementation of the agreed deal”. The GMB union are correct to call for the pay talks to be reopened. But this isn’t enough. If talks are to re-open, the representatives from around the table must carry the weight of all healthcare professionals’ frustrations, and not just toss them aside. Those of us in the RCN angered by this deal and our leadership’s inaction are carrying on the fight. But we need pressure from below by healthcare professionals across all 12 unions that this affects. This scandal goes beyond the pay deal. Rather, recent episodes have highlighted the massive changes we need in terms of union democracy, accountability, transparency and engagement. This vote of no confidence in the RCN Council is only the beginning. If our representatives on the boards, committees and forums continue to be a break on progress, then they too will eventually feel the winds of change.